There is nothing else that I have ever done that has given me the feeling of satisfaction both for myself and for the families. HOW DO HOSPICE VOLUNTEERS SERVE? Trained hospice volunteers provide direct services to patients and their families through emotional support and respite care to allow caregivers time to themselves. Visits can include listening, reading aloud, taking walks, or quiet companionship. The dedication and compassionate care of our volunteers support the well-being of our patients and their families in immeasurable ways. Hospice volunteers may choose to provide clerical support for the staff in areas including: donation acknowledgements, and assistance with mailings. HOW DO YOU BECOME A HOSPICE VOLUNTEER? Contact the Hospice Volunteer Coordinator, Eileen V. Stahl at 406-535-1479. 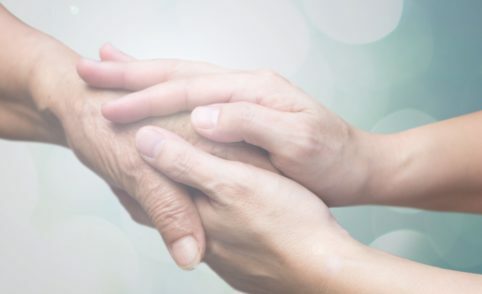 Volunteers who choose to do direct services to patients and their families are required to participate in a training course on hospice care, dealing with such topics as: death and dying, communications skills, spiritual care, the grief process, and the role of the volunteer. Hospice training courses are offered annually. Upon completion of the course, you may choose whether or not to become an active volunteer. After an interview with the Hospice Volunteer Coordinator, you may then be introduced to a hospice patient and their family. All volunteers participate in on-going continuing education opportunities provided by CMMC Hospice to enhance their skills.